In 2011, mixed media artist Nathalie Kalbach abandoned her 17-year career as a paralegal to work as a full-time artist and art instructor. Nathalie has worked in art journals and on canvas, incorporating collage and found objects into her work. Her projects have been featured in a number of art, craft and hobby publications, and in several mixed media books. Earlier this year, she published her book, Artful Adventures in Mixed Media: Art and Techniques Inspired by Observation & Experience. 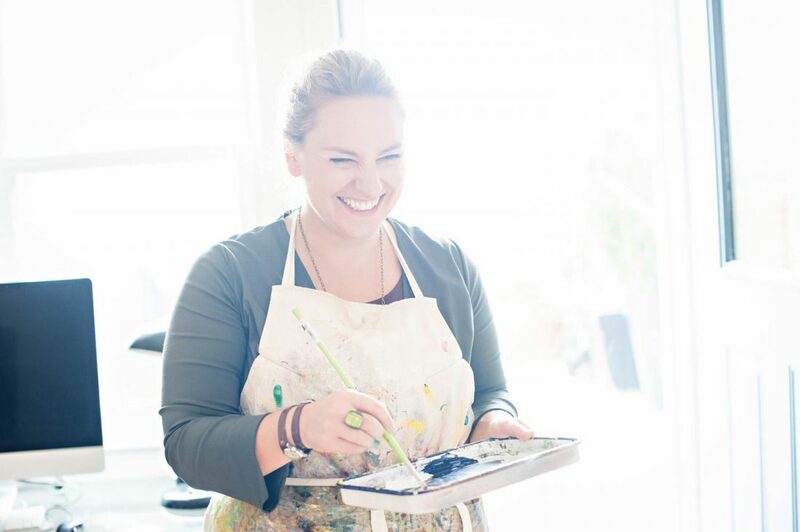 Since 2006, Nathalie has focused her attention on teaching workshops at art retreats and retail events in such places as Europe, Australia, Israel, Canada, Malaysia and the United States. Starting in the spring of 2015, Nathalie began teaching mixed media workshops at the Pratt Institute for the School of Continuing and Professional Studies. In March 2016, she released four acrylic paint workshop DVDs through ArtistNetwork TV. The collection includes titles such as Colorful Foundations, Mediums Demystified, Raw Canvas Staining and Creating Texture Canvases. Nathalie’s artwork is licensed through StencilGirl Products, Rubbermoon rubber stamps, Stampendous and Art Foamies. She served as a sponsored artist and brand ambassador for Liquitex from 2014-15. Her work has also been featured in packaging for Liquitex Acrylic Painting sets sold at craft stores around the world.